Max is a sweet and affectionate dog who loves to be petted and loves to cuddle. He is a good listener, very alert, especially when the conversation is accompanied by a good neck rub. He does not seem interested in chewing things around the house, according to his current foster mom. He just likes to hang out with his people. He loves playing ball; his catching skills aren’t great, but he has proved to be a quick learner. He knows how to shake hands, knows “where’s your ball?” and is about half-trained to sit. He thinks little dogs are a novelty but barks at big dogs. He needs further training to not bark at strange people and big dogs. Max is 7 years old, neutered, weighs 85 pounds and needs to gain 10 more. He has a very handsome, classic German Shepherd appearance. He is housebroken. He needs lots of exercise and is always ready for some fun. He loves the outdoors and likes to hang outdoors. Max was found behind a business near Bachman Lake before Thanksgiving having been abandoned and starving. The business people rescued him, fed him and petted him. He stayed even though he could have run anywhere around Dallas. He was hit by a car during the time he was abandoned; his right rear leg was broken. On Jan. 2, the vet said it was healing properly by itself. He holds that leg in the air when he stands but puts weight on it to run, walk and jump around. He walks with a limp and probably always will. He is a strong dog, never flinches with rough cuddling and silly play. He brought a wonderful atmosphere of calm to the house with his strong personality. He needs a new home with a big back yard or a neighborhood for long walks. He will be a wonderful dog for someone. Come and join DKC/HSDC at Craft and Growler next Tuesday 1/28. 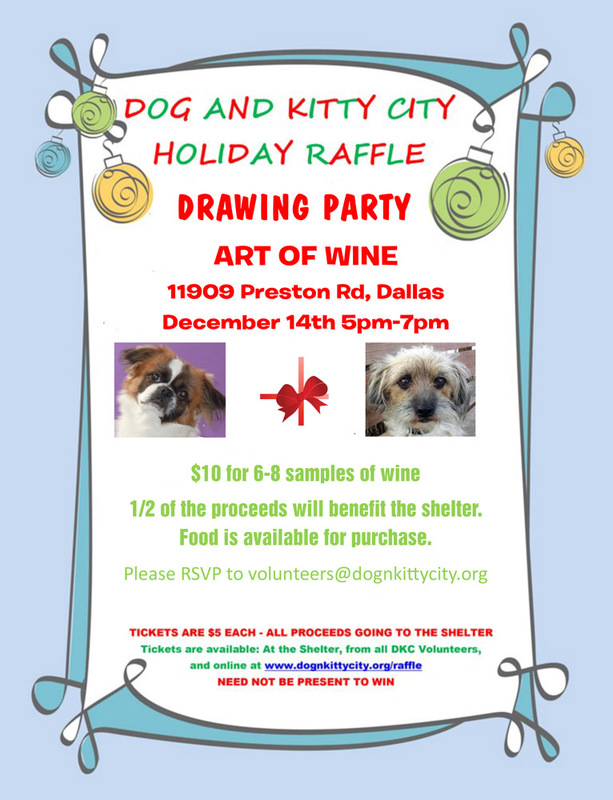 Our shelter will receive $1 for each beer sold between 5-8pm, so come and enjoy a beer and help our homeless companion animals at the same time! We had a surprise visit from Santa and his crew. They brought presents for the good little doggies and kitties. Santa and his helpers are workers from Walmart, participating in a community outreach holiday program. Tipsy is a little cutie, a 4-year old maltese mix who was left tied to the shelter fence one night. We suspect her medical issues were more than her owner could handle. She immediately required eye surgery to remove an ulcer effecting her left eye. All went well. She is also hearing impaired but right now, we are focused on her knees. This laid back little girl was diagnosed as needing major surgery to repair one or both of her back knees. As vet prepared for the knee repair, he discovered some arthritis and an old wound when her left hip was dislocated some time ago, leaving her with scar tissue. He repaired this and we are hopeful this will solve her problem without further surgery. They may look like big brown sad eyes, but Tipsy is a cuddly, loving little dog - who gets along with cats, other small dogs and every human she meets. She can sure use a Guardian Angel or two to support her medical needs. Every little bit will insure the best possible care for Tipsy. She is available for adoption. Shelter will continue responsibility for her medical care, but we know she would heal faster in a happy, loving home environment. This little sweetheart is Happy. Look at that face! This little 13 pound wheaten terrier collided with a car, and he got the worst of it. He was turned in to Animal Services for help. He couldn't put pressure on his hind quarters and had some open wounds and road rash, so they suspected pelvic injuries, and sent out an appeal for a rescue. We rushed him to the vet and miraculously, no broken bones but severe internal bruising, abdominal wounds and external derma-abrasions, requiring careful attention against infection and debriding to insure healing. Happy has exhibited an amazing demeanor through his pain .... and might not exactly live up to that name right now, but it is definitely in his personality. What will help make him happier right now is a Guardian Angel who will help us help him. If you can help, please be his Guardian Angel and help Happy recover and get ready for a forever home! Join us on Saturday, September 7 at Mutts Canine Cantina between 10 am - 2 pm. Your chance to bring your pup for a romp in the dog park and to support the shelter dogs! On Saturday, August 24th, Morgan and Asena celebrated their 8th birthdays at a joint party with friends and family. 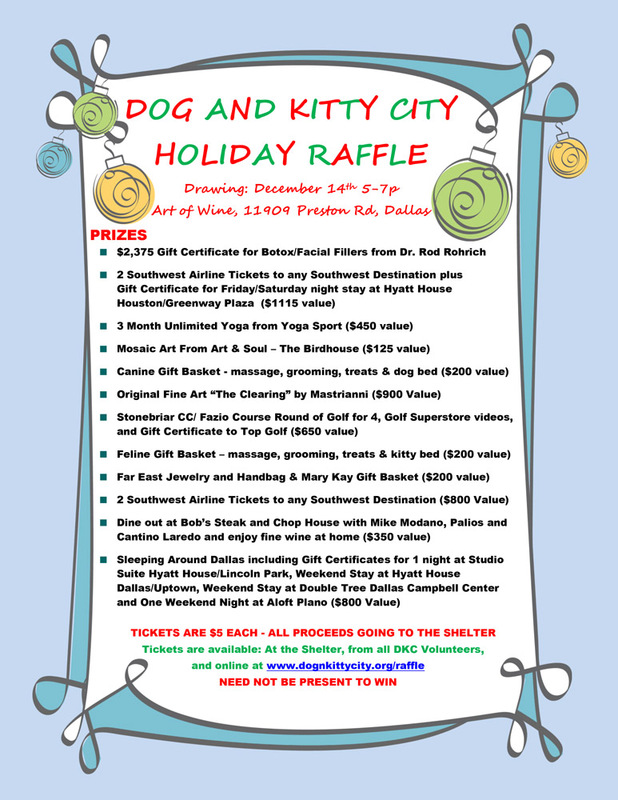 In lieu of presents, they asked everyone to bring a donation for Dog & Kitty City animals. After the party, the girls visited the shelter to drop off a wonderful array of gifts for our furry friends. They also had a tour and a chance to visit with the animals. A great big HSDC thank you to these junior volunteers who stepped up to help the animals! UPDATED: 80 Kittens for Adoption! DKC Joins Gay Bingo Cabaret! The 2009 Holiday Raffle is ON!